Two geometries peacefully blend upon meeting at the site of this building, as the urban grid of Manhattan’s city streets meets the organic and angled flow of the Hudson River. 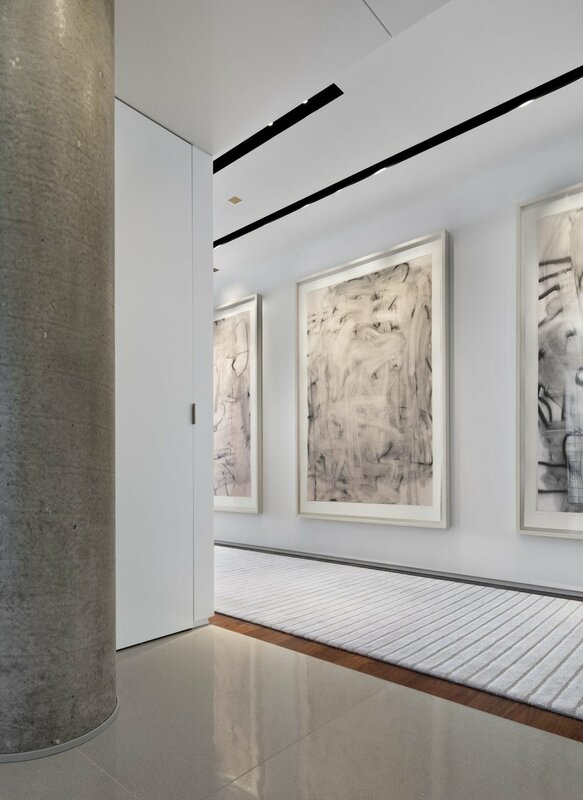 Polished concrete, dark wood floors, and white finished drywall mix and mingle in the planar exploration of a space that sits between the urban rigidity of the city and the open expansiveness of New York’s premier waterway. 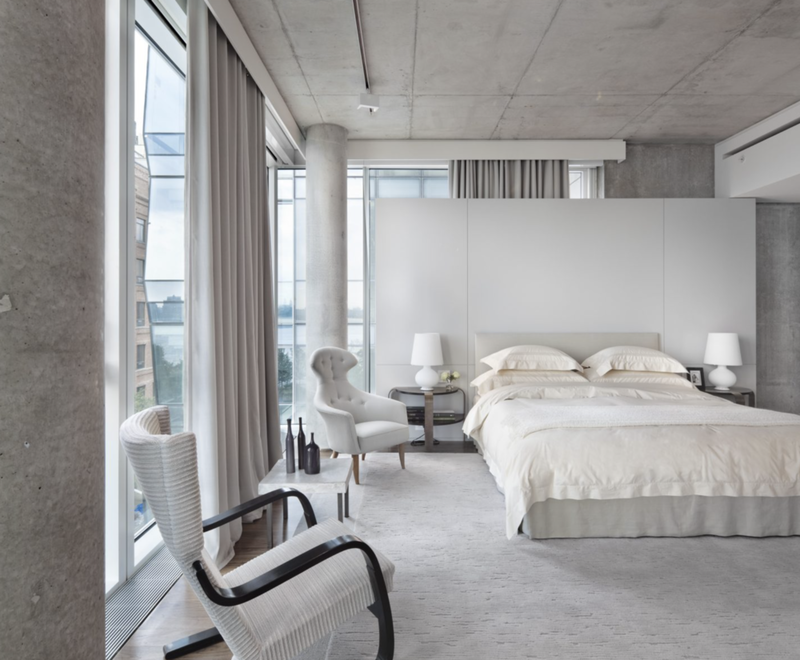 Recessed lighting, furnishings thoughtfully arranged in pleasing patterns, and well- selected interior accents grant this Hudson River pier residence a clean, urban sophistication, while simultaneously inviting one to take up living within the calming space, where views of the water enter into the unit through three walls of floor to ceiling windows, giving a breathable and open quality to the living arrangement. 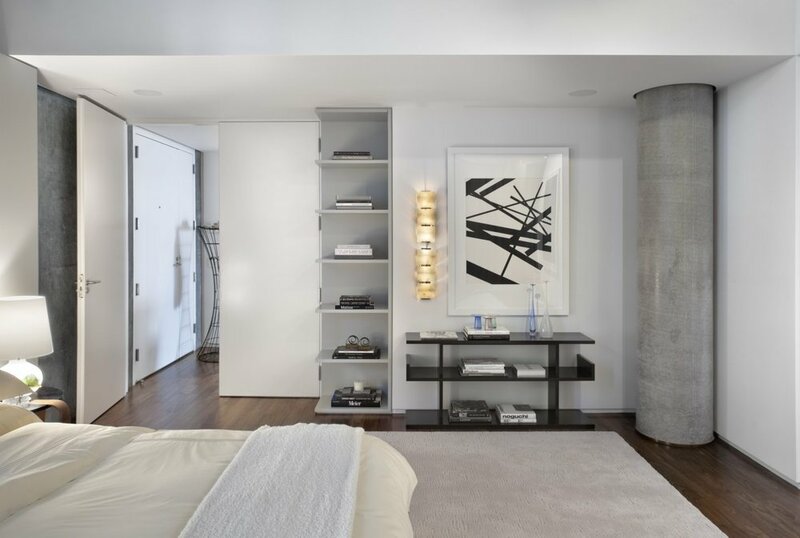 In this collaborative work with architect Shelton Mindel, the orderliness of the city grid is translated into the core of the unit, which houses the kitchen, bathroom, and storage, providing a relief of privacy and repose from the open-air quality of the remaining interior, which, punctuated by the structural honesty of exposed, polished, concrete pillars, give the unit an almost deck-like feel that facilitates living within the context of its incredible waterfront view in constant celebration of the pleasing blend between artifice and nature.